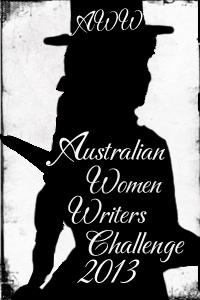 This entry was posted in Australian history, Australian Women Writers Challenge 2013, Book reviews, Colonial biography. Bookmark the permalink. One to read for technique as well as topic. Thankyou for this. Another fine review. As a newcomer -Thankyou. It reminds me how that whole “Wellington” era had such a monumental influence.– from those terrible wars to post war domestic politics in Britain and the colonies. But persumably after EGW backed away from the SA Project the commisioners decided the Queens name Adeliade would resonate better. Subsequently EGW got Wellingtons name alloocated to the NZ Coys first colony in NZ . This was led by his brother Colonel William Wakefield –a veteran of the unofficial British contribution to the 1830s Spanish wars. I also noted Colonel Lights name on the list.. Apparently he was the first choice as Surveyor-General for Wellington NZ.–but his untimely death put paid to that. Finally I did appreciate your categorisation of this style of research –I like it as a way of unfolding the bed sheets of history. Thank you very much for your considered response. As you point out, there are geographic allusions to Wellington, particularly in colonies like NSW and NZ that were being surveyed and named in the post-Napoleonic war period. It’s interesting seeing the clash and intersection of the different patronage circles at this time. Another great review, Janine, and an eye-opener at that. I’ve done some research on Georgiana Molloy of Augusta, WA in the 1830s & 40s but never thought to contextualise this re the Napoleonic War, in which her husband fought. One to add to the list! Thank you Jessica. I’ve noticed that after reading this book, you find connections with the Napoleonic Wars with many, many early colonists. I’d been aware of it in the background, but this book really brought it to the fore. Botheration. I asked my local library if they would consider buying the book, but it turns out it is “outside our purchase guidelines”. And Mills and Boon are inside the guidelines. I guess you get more Mills and Boon for your buck. Perhaps it needed a sexier picture on the front cover? I would have thought any teenage girl would swoon over Lt Morisset with those puppy dog eyes – but no, I think the guidelines probably eschew PhD publications. The library had to go to Bathurst to borrow a copy for me, outside the universities which charge an arm and a leg for inter- library loans. I found it very illuminating on the subject of the war-time commissions, and the problem of what to do with the half-pay men after the war. 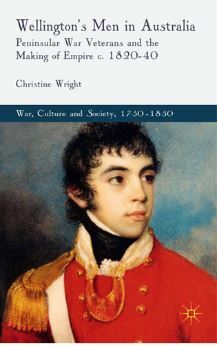 Having that previously unknown (to me) network of Wellington’s men explained has answered quite a few questions I had in my mind, so I am very grateful to you for reading and reviewing the book, and to Christine Wright for writing it.